Our letter last week was the letter Dd. Here are some of the activities that we did. 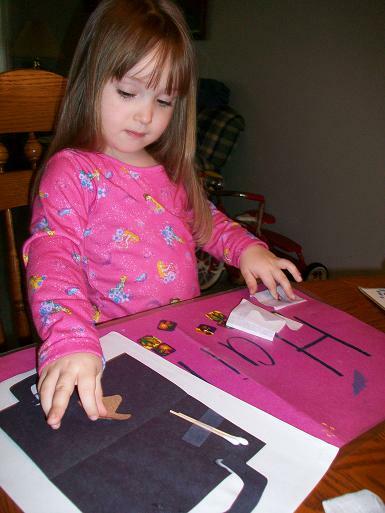 Hailey used the Do-a-Dot art to decorate the letter Dd. 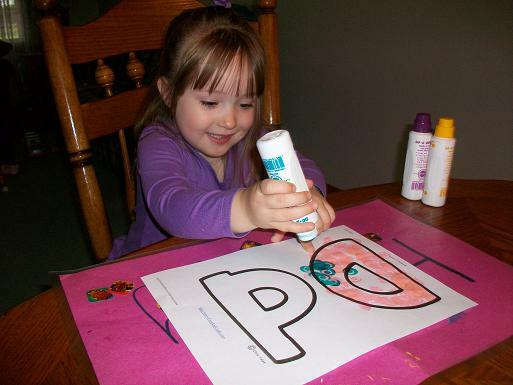 We played with Playdough and used a cookie cutter D to cut out the letter D.
For our alphabet book we made a D is for Doctor bag that we saw over at Homeschool Creations. 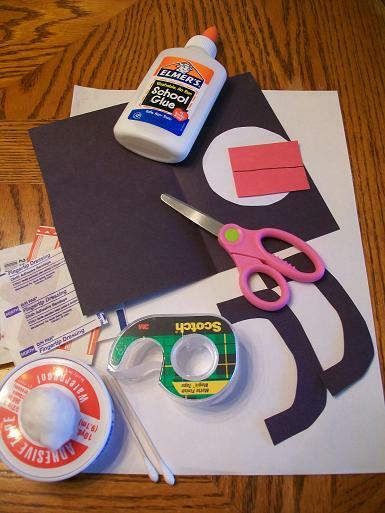 You’ll need: white, red and black construction paper, scissors, tape, glue and some (child safe) doctor supplies. 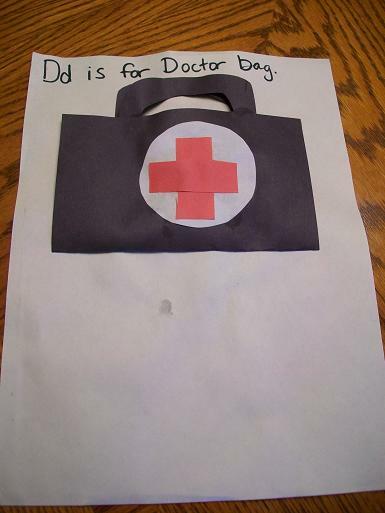 The outside of her D is for Doctor Bag. 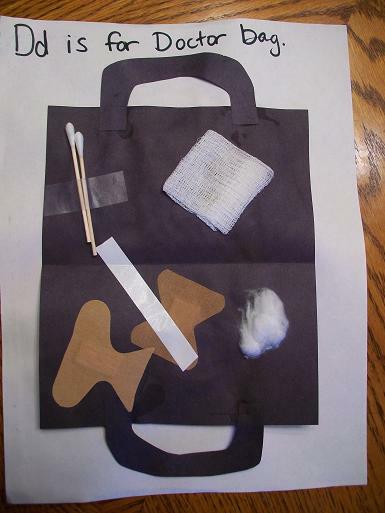 The inside of her Doctor bag. We also ate some donuts to go along with the letter D, but I forgot to take a picture. I love that doctor bag! Haven’t seen that one before for the letter D. It would also be good for a community unit. Came by looking for any Eric Carle related activities, if you have any posted that you can remember off the top of you head please drop us a link ASAP. We’re doing our author study post on the 22nd and looking for more ideas to include in it. Thanks!